This weekend was unlike any other weekend I’ve ever had before. It was a weekend filled with inspiration, hope, and memories that I will never forget. I took part in the IBD event, Get Your Guts In Gear (GYGIG) which took place in upstate New York. I arrived Friday, June 7th knowing a few people. I left Sunday, June 9th with more than 50+ people I now call my family. In case you never heard of GYGIG, they are a national, non-profit organization that raises awareness for Crohn’s and Ulcerative Colitis by doing multi-day cycling events. This was the 10th anniversary for the New York ride which spanned over 140 miles with the option to do a century loop, for a total of 200 miles. It all started when I met Megan Starshak, co-founder of The Great Bowel Movement. She kept telling me about the organization and how great this event was. The fact that this was going to be the eighth time she was attending it and flying in each time all the way from Wisconsin said a lot to me. Even Sara Ringer was flying in from Michigan to attend. That was enough to get me to sign on the dotted line. When I arrived at the meeting grounds on Friday afternoon I was met by Jeffrey Levine, Marisa Troy, her father Mitch, Jim Carrick, and a bunch of other people I had heard of before, but never met or talked to. 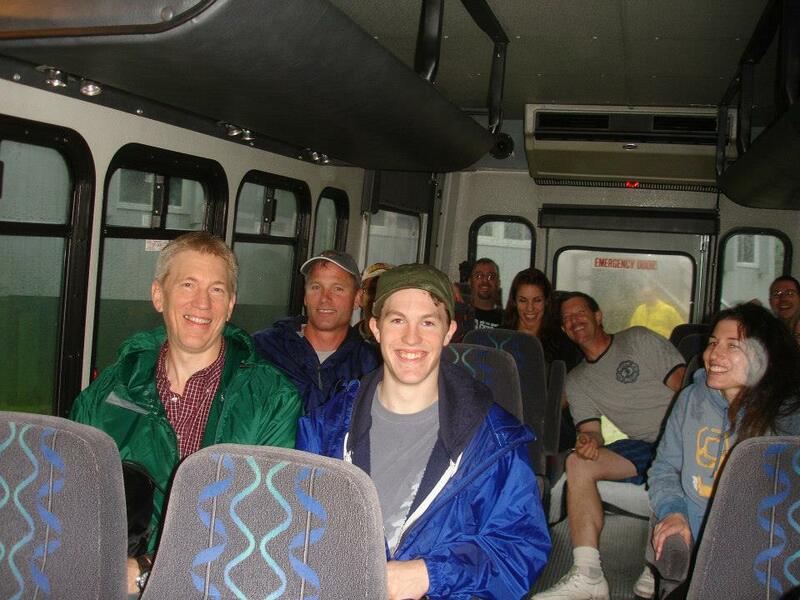 As the shuttle bus was taking us over to where we would be staying that night it quickly became obvious to me that I was amongst friends. 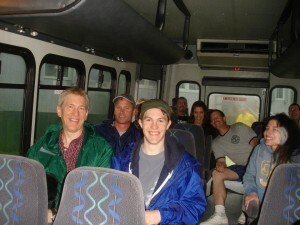 Laughter and camaraderie filled the bus and you couldn’t help but feel like you were with family. I was pretty nervous going into this. This was only going to be the second IBD event I had ever participated in and I had never participated in an event of this size before. I’m not sure if the nervousness was showing through or not, but everyone made me feel at ease. Everything was so well documented and organized that by the time we were done the Crew meeting on Friday night, I felt a lot better. The maps and documents showed that this was going to be challenging for the Riders but it wasn’t until we started out at 6:30 am on Saturday morning that I truly understood just how difficult this really was. Keep in mind, this isn’t a race, but the course isn’t on flat terrain. We were in the mountainous area of upstate New York. To say they had to battle hills would be a complete understatement. Some of the uphill climbs were challenging for a car, let alone a Rider on a bicycle. Every Rider did it though with bravery and courage unlike anything I had ever seen before. Most of the Riders even had a form of IBD! They not only battled harsh weather conditions and uphill climbs but also were battling their disease too. I don’t want to speak for the Riders, but I’m willing to bet if you asked them how they were able to accomplish it, they’d probably say it was because of the amazing Crew. The Crew members worked so hard to make sure that the Riders had everything they needed. They made sure that the route was clearly marked the entire way, rest stops were fully stocked with everything the Riders needed, and Sweep cars and vans driving along-side giving support and helping if there were any problems. Every member of the Crew team took their responsibilities very seriously and gave one hundred percent. Regardless if you were Crew or a Rider, you were part of one big family. A family that loved each other and supported each other. A family that was dedicated to raising awareness, easing the suffering of those with IBD, Crohn’s, and Colitis, plus wanting nothing more than to find a cure for it! I left Sunday night with my emotions running wild. The drive home was three hours and I spent a great deal of it thinking and reflecting on everything that had transpired. I came to the conclusion that I had just spent two and a half days with some of the most heroic people I’ve ever met. They have inspired me and given me so much hope for the future. So long as IBD continues to invade people like this, it doesn’t stand a chance!